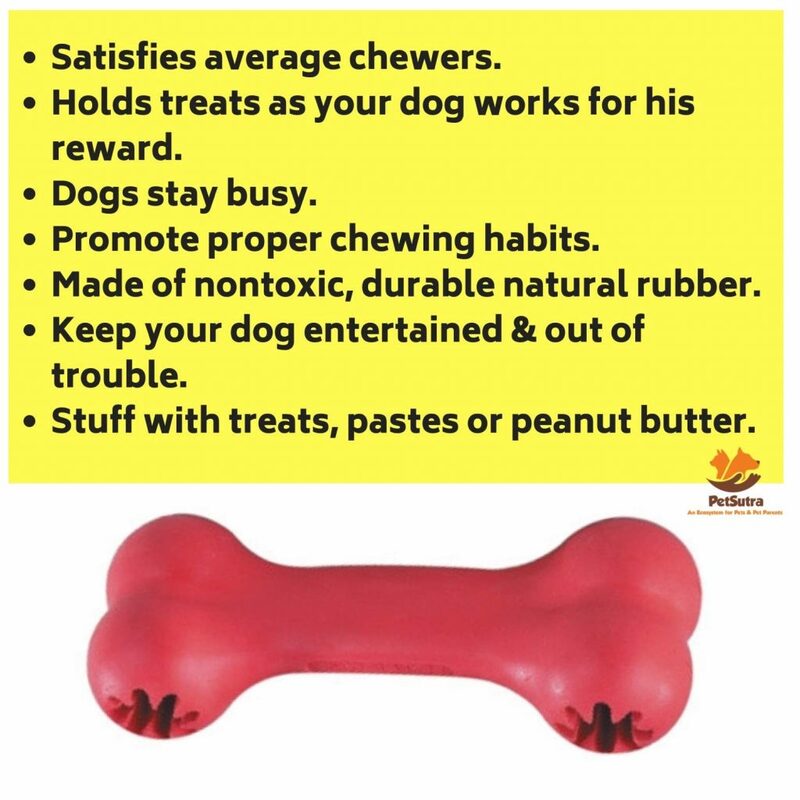 Dogs just love bones, be it a real chicken bone or bone shaped toy, dogs are just crazy after them. 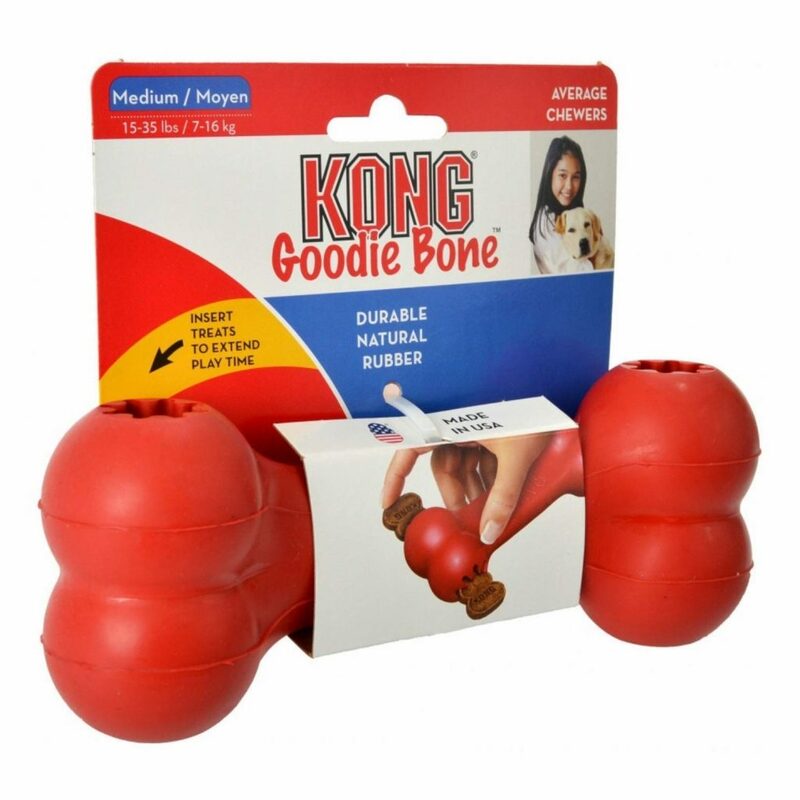 The KONG Goodie Bone is one such toy, however, it is safe for your dog. 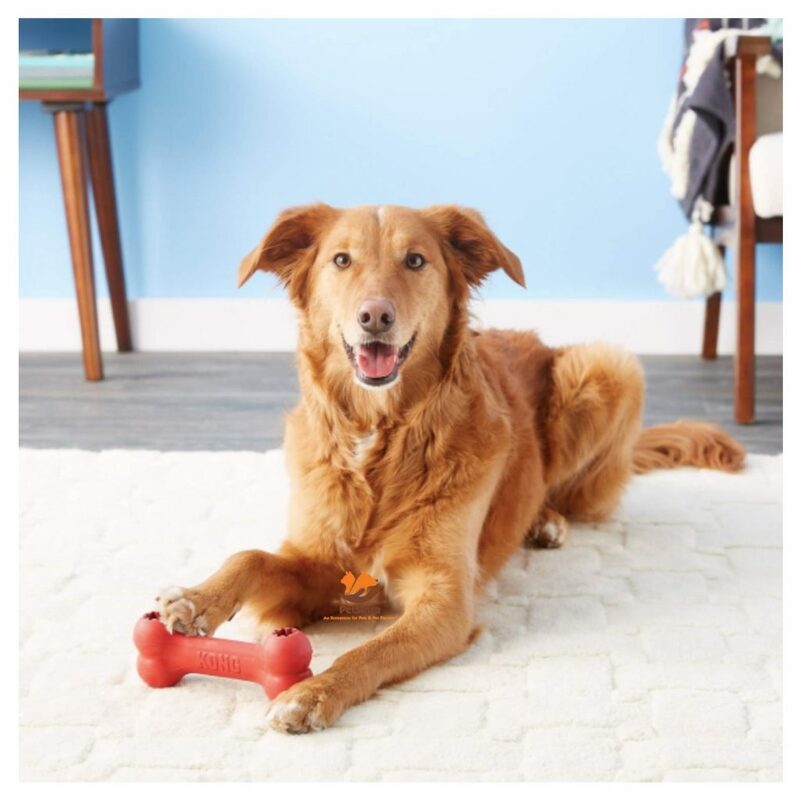 The KONG Goodie Bone toy not only has an attractive shape, but you can also fill-in some tasty dog treats , so that when your dog is playing with it, the treat comes out from the toy, thus keeping your dog engaged to the toy for longer durations. 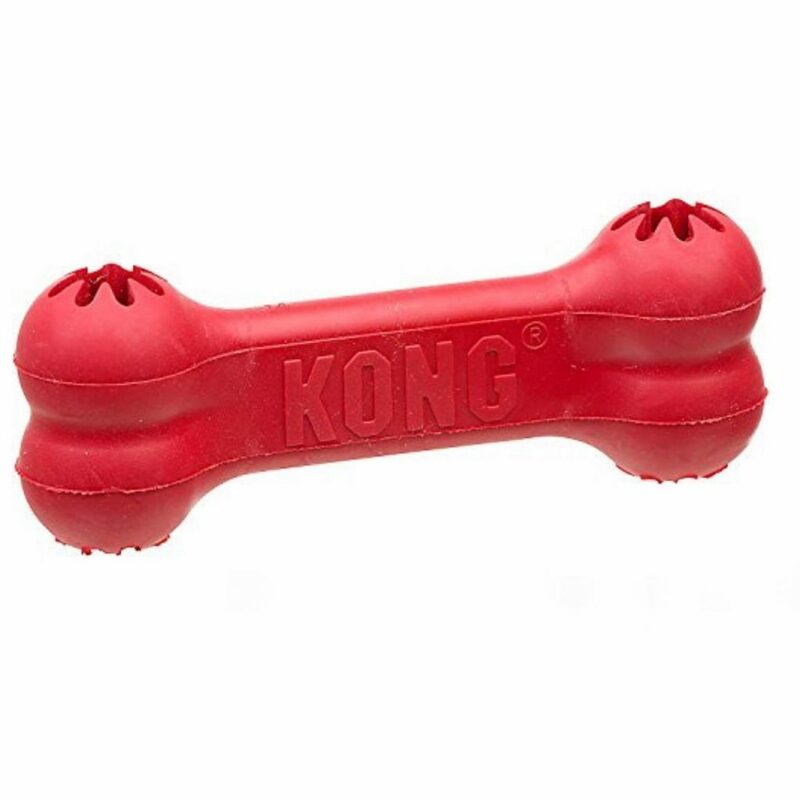 -- The trust of Kong: Made from Punctured resistant natural rubber. 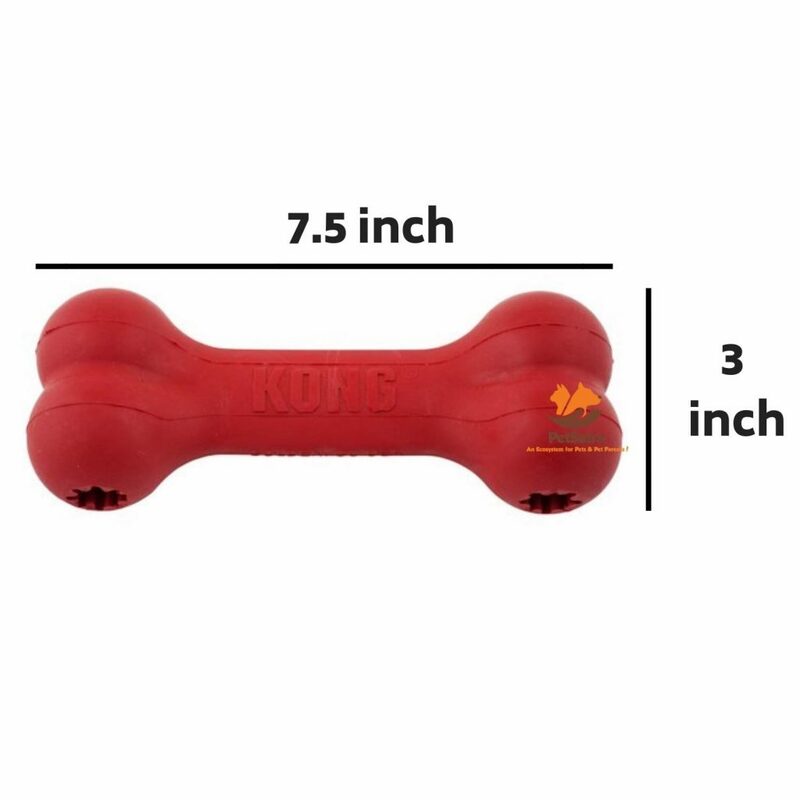 -- Bone shaped which maintains dog’s interest in the toy. -- Patented Goodie Gripper holes are ideal for stuffing challenges. -- Made in the USA. Globally sourced materials. 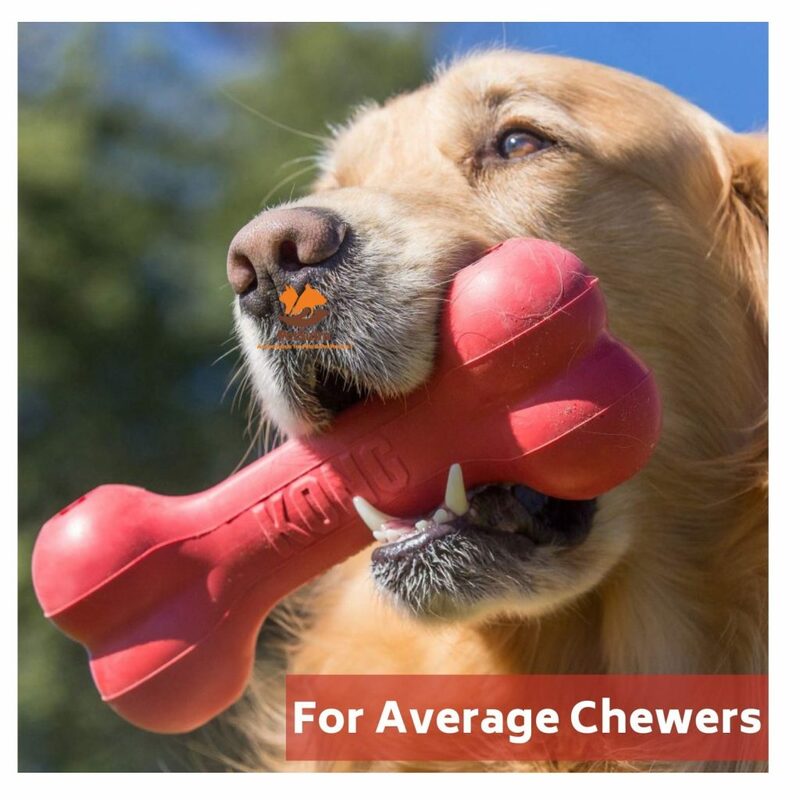 -- Good for average chewers.